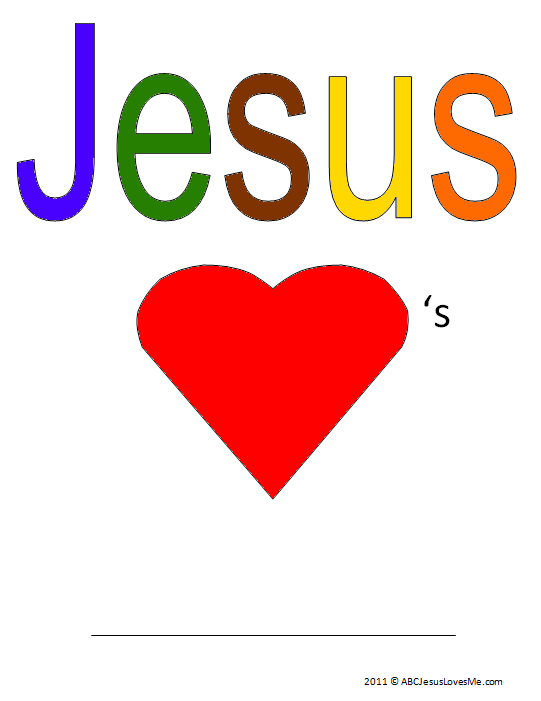 - For next few weeks, we will be learning how Jesus loves us so much that He died on the cross and rose again. At the end of the study, a cover worksheet will be provided to bind the pages together. 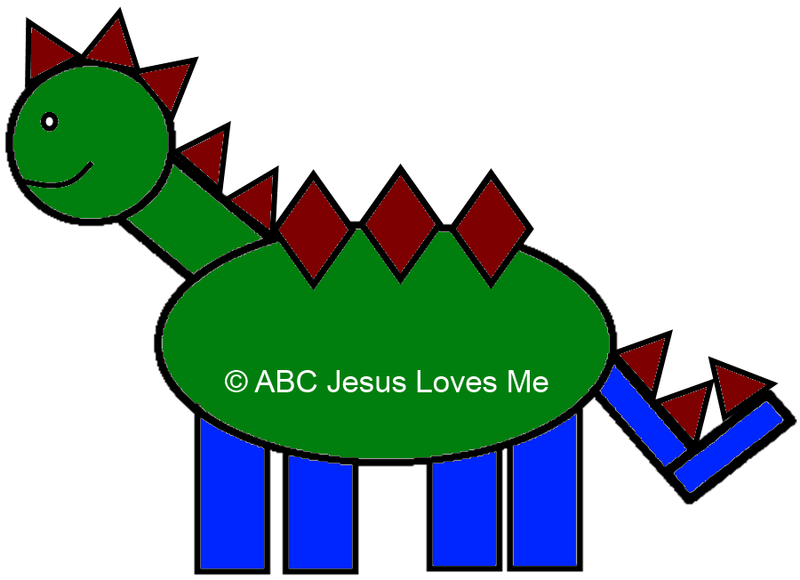 - Color the Donkey worksheet and glue on gray yarn for the donkey's mane and tail. - Paint the Palm Branch green and cut it out. Cut slits along the edges. Glue or tape a large craft stick or ruler to the back of the branch. Wave the palm branch as the people would have done for Jesus. - or - Using thinned glue, spread a thin layer on the palm branch. Add different shades of torn green tissue paper overlapping the pieces. Let dry. Glue along the edges and on lines created for the inside of the leaf. Sprinkle glitter over the glue. - Resurrection Eggs are a wonderful way to introduce the child to Easter. There are various forms of Resurrection Eggs available to purchase or make. Each set contains a variation of items and order leading up to the empty 12th egg. Open one every few days starting now or wait until closer to Easter. Read more about the Resurrection Eggs. 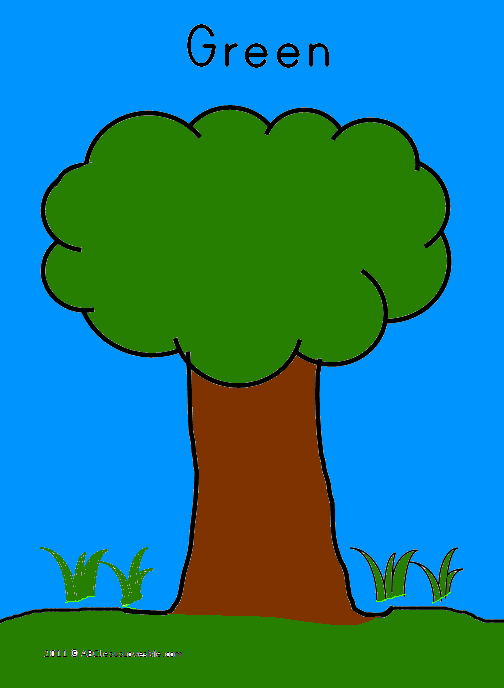 Using the Tree worksheet, color or paint using the colors green, blue, and brown. Discuss where to use each color. 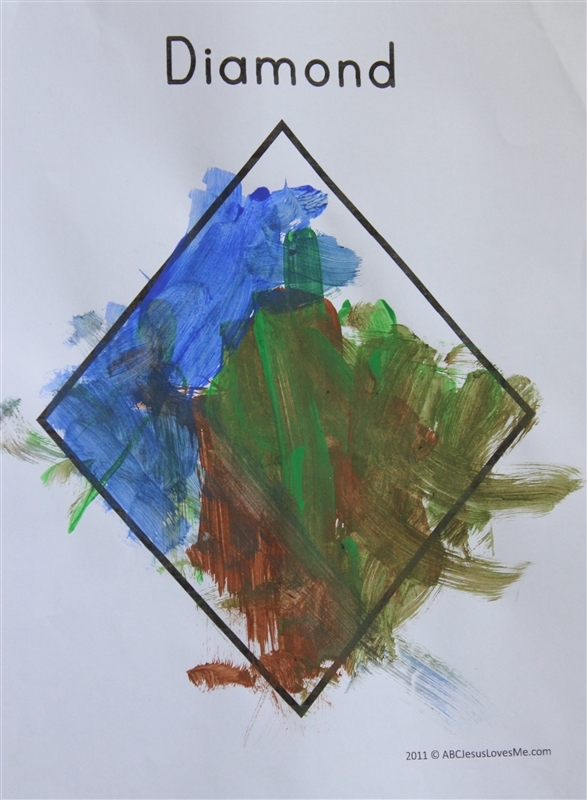 Color, paint, or draw on the Diamond worksheet using the colors green, blue, and brown. - Do a Shape Walk: Walk around the house or neighborhood looking for diamonds. 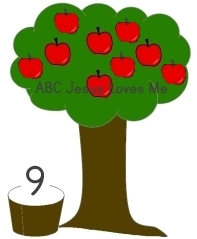 This week cut and glue small squares of construction paper on the Apple Tree #9. Add nine apple stickers. Continue to count items throughout the day. One of the contributions that a child can make to a family is to help with chores. Setting the table is a relatively easy task. Start with one item and then increase to more. 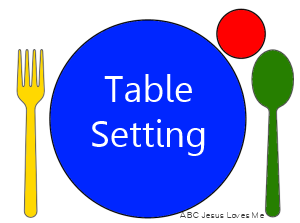 Use the Table Setting worksheet to teach the child where the objects go. If your tableware is relatively the same size as the worksheet, place a copy of the worksheet at every place setting. Have the child simply lay the object on to match the worksheet. Cover the worksheet with clear contact paper to use as a place mat. Using the book From Head to Toe by Eric Carle, walk like an animal. Encourage the child to create her own ideas, but here are a few to get you started.